There are many Orlando venues for sporting events, and one of the most popular is Disney’s Wide World of Sports Complex. Many kids’ events are held there including softball and baseball tournaments, cheerleading expos, karate contests, and even the world renown Twirl Mania International Baton Twirling Competitions are held at the venue. Disney does not offer shuttle service to the Wide World of Sports venue, so the competitors need to find their own ways to the sports center. Of course, there are shuttles to the main theme parks, but not this one. Many events are group events so by hiring luxury minibus Orlando traffic is much more manageable. 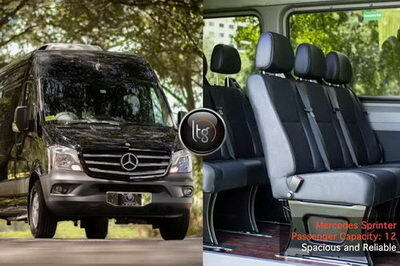 Luxury Transportation Group USA has the highest quality minibus transportation Orlando has to offer. Few people realize that Orlando has many, many venues for conferences and company outings. Corporate events require a high level of transportation services as opposed to the typical minibus rental. This is especially true if the minibus is to be used for a company’s executives, or other high ranking individuals. It’s important to have a clean and comfortable luxury minibus Orlando visitors will be pleased to travel in. You can rest assured that the attendees to your corporate events will enjoy be transported by the professional drivers of Luxury Transportation Group USA. Luxury Transportation Group USA is the “go to” transportation services company for many corporate groups that regularly visit Orlando and need minibus transportation. Orlando is a base for many large corporate events, so luxury minibus transportation services is an essential for getting attendees to all of the events. Of course, LTG Orlando offers a complete line of luxury vehicles in their fleet. Call Luxury Transportation Group USA for minibus transportation services for your next Orlando corporate event.